As the New 308 hatchback goes on sale in the UK, PEUGEOT expands its medium-car range with a new silhouette. Like the hatchback, the new Peugeot 308 SW has been completely redesigned, bringing with it class-leading levels of competitiveness. 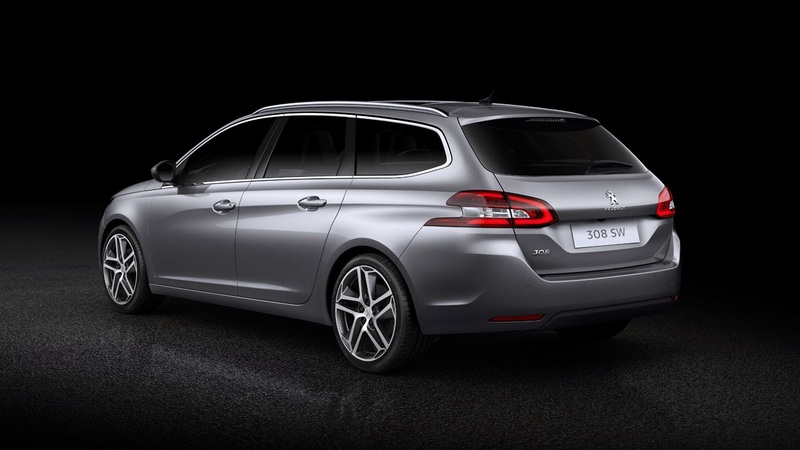 PEUGEOT designers have styled a capacious and dynamic estate car with an attractive stance that is sleek and sporty (length 4.58m and height 1.47m). Its generous dimensions comfortably exceed the expectations and requirements of customers in this sector, providing ample volume, roominess, versatility and practicality. 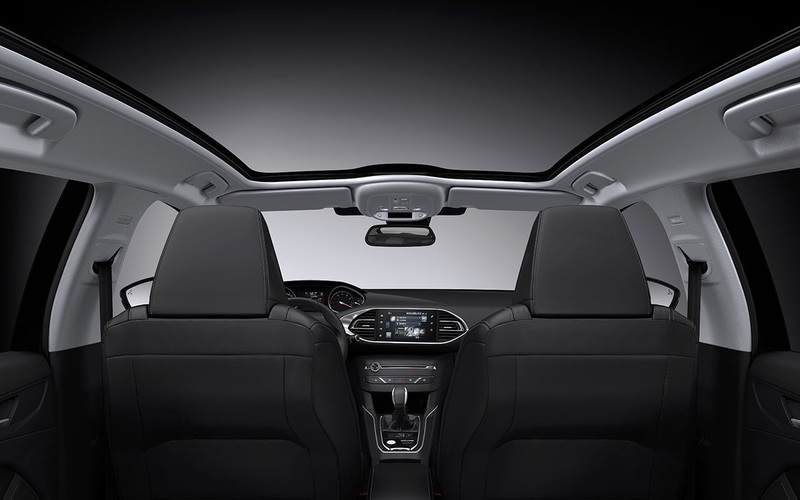 With a volume of 610dm3 (VDA 210 standard), the boot capacity of the new PEUGEOT 308 SW is class-leading for the segment. With stylish and clean lines, it provides a very practical and clutter-free purpose-designed space. 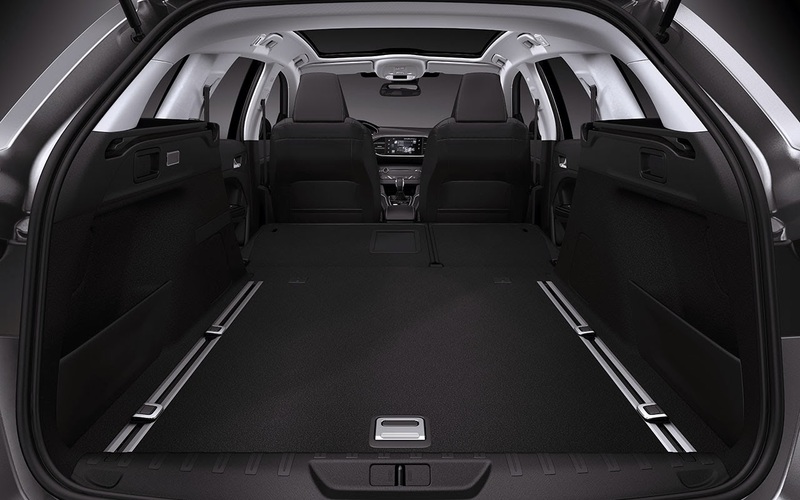 Its modularity is achieved with unparalleled simplicity (seats are folded with a single action from inside the boot) and effectiveness (perfectly flat floor). Its quality finish is worthy of the next category up. 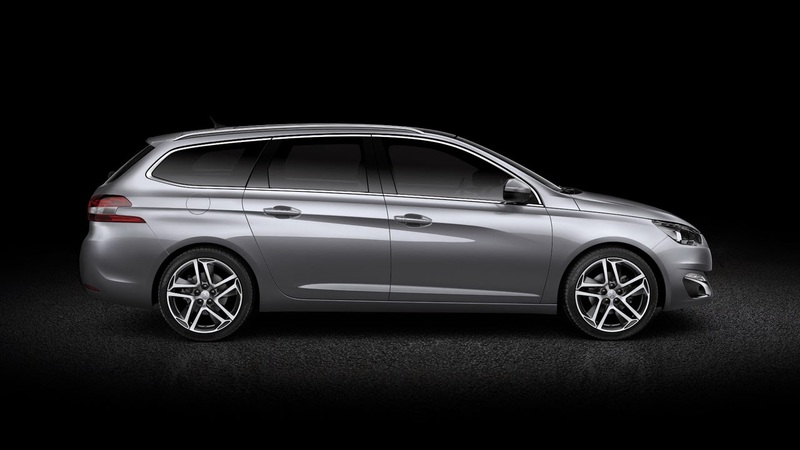 Like the hatchback, the New Peugeot 308 SW benefits from utilising the ‘Efficient Modular Platform’ (EMP2), optimising weight-savings and providing enhanced dynamic efficiency. 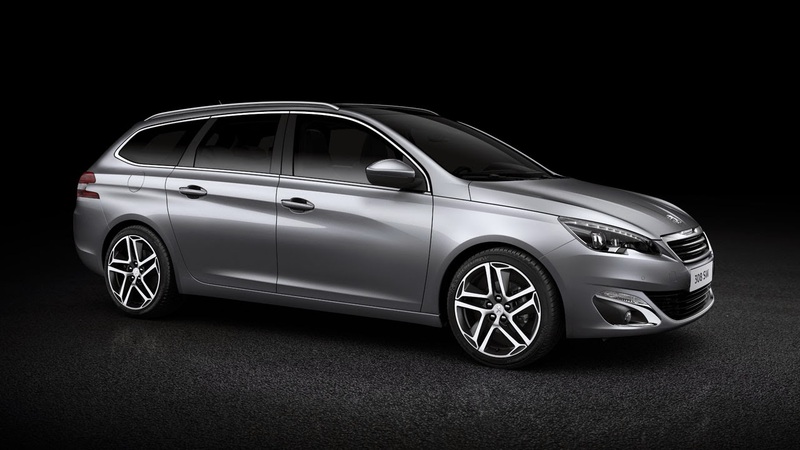 In total, the new PEUGEOT 308 SW is 140kg lighter than its predecessor and this greatly enhances the overall driving experience and places it strongly against other competitor estate cars. Available at launch, the Euro 6 petrol and diesel engines guarantee outstanding performance. A new BlueHDi version emits just 85g/km of CO2, setting a new benchmark in the segment. 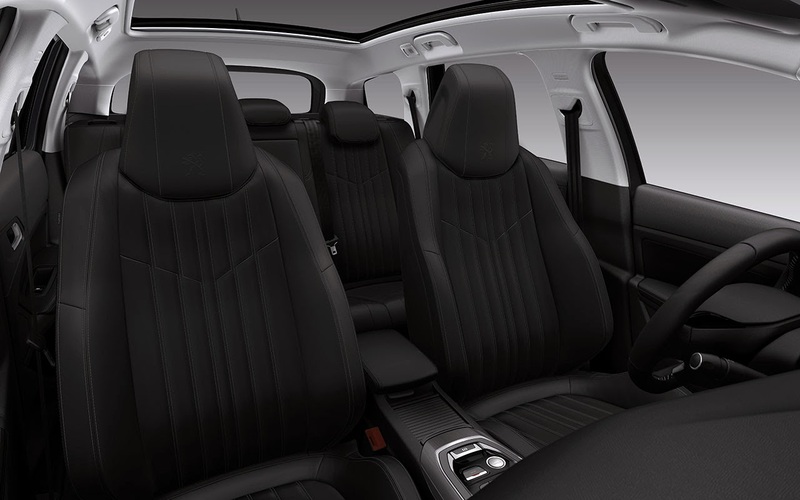 Inside, the PEUGEOT i-Cockpit is modern, sleek and innovative, providing its driver and passengers with a clean and clear interior environment with new driving sensations. 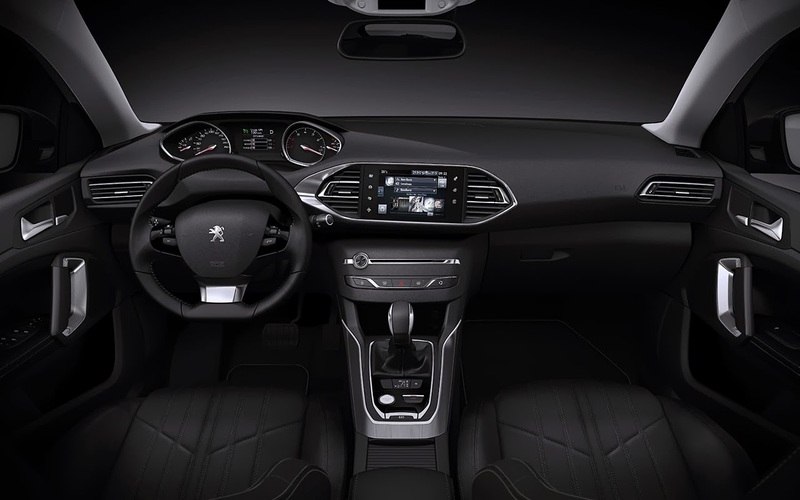 Built with high quality materials and to exacting build standards the new PEUGEOT 308 SW features a high level of attention-to-detail, with the specific aim of placing the car among the best, confirming the Marque’s movement upmarket. Produced in Sochaux, France, the New PEUGEOT 308 SW will be equipped with powertrain units from the Trémery and Douvrin sites. 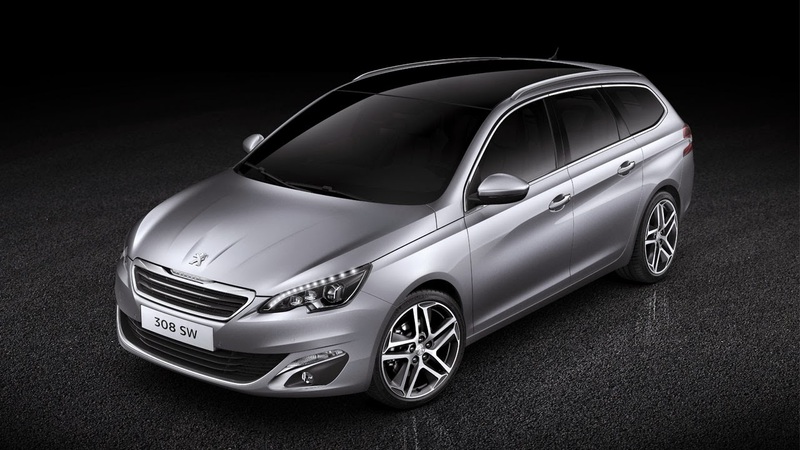 The New PEUGEOT 308 SW has its world premiere at the Geneva Motor Show in March 2014, and will go on sale across Europe in the Spring.